We’ve been looking at easements for heritage conservation purposes and how these evolved in Ontario. Easements and their close cousin covenants — agreements conferring rights over another’s land or property for specific purposes — can be used by anyone for almost any (legal) end. But the only kind that beat the old common law limits and stick over the long haul are statutory easements — that is, agreements where the parties involved and the public policy objectives to be served are set out in statute. Because of the public interests at stake, our laws are fussy about who gets the power to enter into such arrangements. With respect to easements for heritage conservation, the Ontario Heritage Act, as we’ve seen, gives these powers to only the Ontario Heritage Trust and local municipalities. Does that mean only the Trust and municipalities can hold heritage easements? In its 40-year history of holding easements, the Trust has done this just twice. In one case an easement was assigned to the National Trust for Canada in Ottawa, and in the other case the assignee was the Frontenac Heritage Foundation in Kingston. One might ask why respected non-governmental heritage organizations — the National Trust for Canada, the Frontenac Heritage Foundation and others like Architectural Conservancy Ontario — should not have the ability to take easements for heritage conservation purposes. The short answer is that cultural heritage groups, perhaps too preoccupied with regulatory approaches and government action, have not shown much enthusiasm for gaining these powers for themselves … and so missed the boat when the door was thrown open to greater access to the easement tool. By comparison, organizations concerned with the use of easements for protecting natural and ecological resources seized an opportunity. Remember from last time how in the early 1980s the Ontario Heritage Foundation (now OHT) moved into the natural heritage field, largely owing to its broad easement-holding ability? The Foundation began working with NGO partners like the Federation of Ontario Naturalists, the Nature Conservancy of Canada, Ducks Unlimited and the Bruce Trail Association to protect places of natural significance through easments and outright acquisition. Soon natural heritage organizations, including the nascent land trust movement, began agitating for the power to hold easements themselves. For a time in the early 1990s it looked like the long-proposed reform of the Ontario Heritage Act would be the vehicle for extending statutory easement powers to suitable NGOs for all types of cultural and natural heritage, as well as for agricultural preservation and other purposes. But with the agonizingly slow pace of the OHA revisions the natural heritage forces shrewdly found another outlet. In 1994 the then Ministry of Natural Resources moved forward with amendments to an obscure piece of legislation. The Conservation Land Act (CLA) was essentially transformed into an all-purpose easements statute … and the OHF’s virtual monopoly on natural heritage easements was broken. (c) for the purposes as may be prescribed by the regulations made under this Act. Note 1: Subsection 37 (4) gives local councils the same ability. Note 2: The City of Toronto entered into an easement agreement with Toronto Terminals Railway, the former owner of Union Station. When the city acquired the property in 2000 this municipal easement was assigned to the federal government and heritage staff from Public Works and Government Services Canada and Parks Canada administer the agreement's heritage approvals. The OHT provided advice to the feds on the easement mechanism and how to manage the transfer of the property. (h) any person or body prescribed by the regulations. (f) for access to the land for the purposes referred to in clause (a), (b), (c), (d) or (e). Note clause (e): to date no other “purposes”, like cultural heritage conservation, have been prescribed, but this remains theoretically possible. 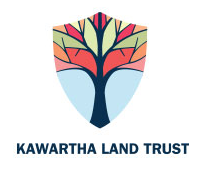 The term Land Trust refers to non-profit, charitable organizations which have as one of their core activities the acquisition of land or interests in land (like conservation easements) for the purpose of conservation. The hallmark of a land trust is the direct action they take to protect the local land base, and that they hold those lands or conservation easements in trust for future generations. Land Trusts and conservancies are generally local in scope and operation, but may be provincial, regional or even national. Most land trusts focus on conserving the biological values of land, but across the continent land trusts have been established to protect scenic, historical, agricultural, and recreational lands as well.